That was a challenging choice to have her stop with that second manuscript. But your instinct was right. Great interview. I loved the discussion on how she writes. The book sounds fantastic, but I'll back away from the giveaway as my stack of MG books to read has reached epic proportions. The story sounds awesome. Best of luck! Wonderful interview, tough choice to make but it sounds like it was the right one for you. Have a lovely week Natalie. I really like the sound of this story and the title and cover are great. Good luck! 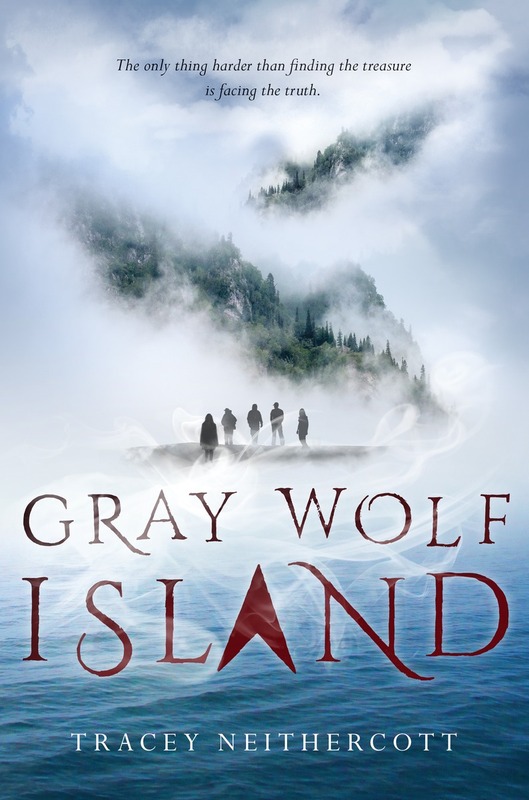 Gray Wolf Island sounds like it'll keep you on the edge of your seat! It's nice to meet you, Tracey. Appreciate you sharing your experience and insight. Wishing you well. Natalie, great interview! Thanks for hosting today. I'll pass on the giveaway this time around. Enjoy the week! There's a lot going on in that novel. Best wish to Tracey. Great interview, the book sounds enchanting. Very impressed by the level of planning that Tracey goes to! What a fascinating idea for a story. Congratulations, Tracey. Great interview, ladies. Enjoyed it. That is very true indeed. A unwritten book shall never sell, so have to plug away day by day. Gray Wolf Island sounds interesting. I like a good treasure hunt. Great interview and the book sounds terrific. I love the Oak Island story, so I think I will love this book. Thanks for the post. Congrats, Tracey. It's so cool that your association with this site went from "querying girl" to "published author with a book that sounds amazing." Nice interview. Congratulations to Tracey. That whole plotting vs pantsing thing is a tough one when the story doesn't want to plot until it's being written. Best of luck to Tracey! That's great advice on the marketing. I end up trying to do too much and burn out. Great interview, plus the book sounds fantastic. Thanks for sharing!! Great interview! Love the cover of the book. Thank you so much! Gray wolf island is one of my most anticipated reads of the year! I follow you via twitter, email. Tracey's book sounds great (as does the one she's working on now)! Excellent questions & answers as usual~ thanks ladies! Wow! that was an amazing story. I loved that! I just read the sample of Gray Wolf Island available on Amazon, and, Wow! It just grabs you from page one! No punches are pulled, and it went straight on my Must-Buy and 'who will I give this to for the holidays?' lists. I really want to read Gray Wolf Island. It sounds like a book you can really get lost in and a really exciting read! What a great interview -- now I know why I don't write complex novels. Her research is incredible. Also noticed you reviewed The Sandcastle Empire -- I read it and reviewed it on GoodReads. Loved it. There are some books I read for my own pleasure.